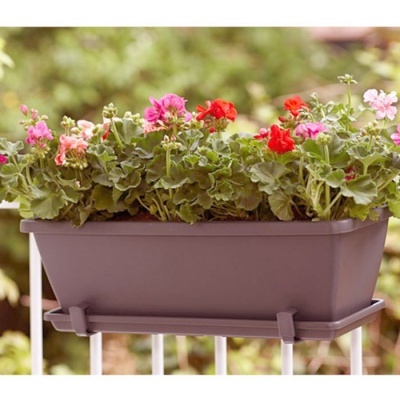 Elho Barcelona Trough Balcony Planter 50cm in Taupe design provides a stylish premium quality garden planter suitable for a windowsill, wall, balcony or patio position. 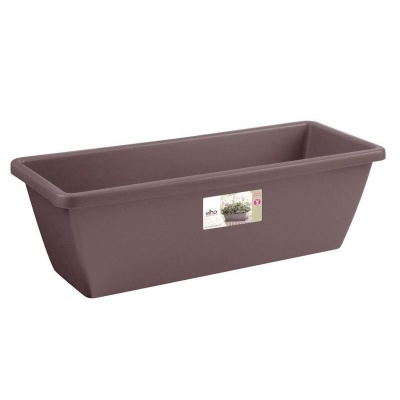 Deep 10 litre planting volume with pre-drilled drainage holes in the bottom, makes Elho's city-trending planter well suited for growing and showing flowers, herbs or shallow rooted vegetables. 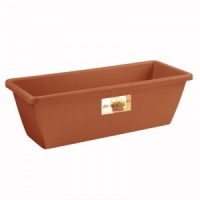 Available in many other colours and additional matching saucer trays also available.